Infographics showing types of neoplasms in the pancreas. Pancreatic tumors are of two types: exocrine or neuroendocrine (endocrine) tumors. Adenocarcinoma is the most common type of exocrine tumor found in 8 out of 10 exocrine pancreatic cancers. Other rare exocrine tumors are acinar cell carcinoma, mucinous cystadenocarcinoma, etc. Endocrine tumors occur rarely when compared to exocrine tumors. They begin in the endocrine cells which make insulin and other hormones. These are common signs and symptoms of pancreatic cancer. Biopsy and laparoscopy procedures can be done for diagnosis. The following symptoms should not be ignored. If the person is suffering from jaundice and is not recovering, then diagnosis of cancer should be a premiere step. Constant abdominal pain which goes to the back is also another sign of pancreatic cancer. Bloating, weight loss, diarrhea, dark urine, enlarged gallbladder or liver, venous thrombosis, etc are some vague symptoms of pancreatic cancer. African-Americans are more prone to develop the pancreatic cancer. Black people who are Asian or Hispanic have higher chances of developing pancreatic cancer. It is observed that people of Ashkenazi Jewish heritage are more likely to develop pancreatic cancer. This might be due to difference in socioeconomic factors. Gene mutation involving the breast cancer BRCA gene can probably be one cause of pancreatic cancer in Ashkenazi Jews. According to a research study, consuming three or more drinks of liquor a day is associated with an increased risk of dying from pancreatic cancer. 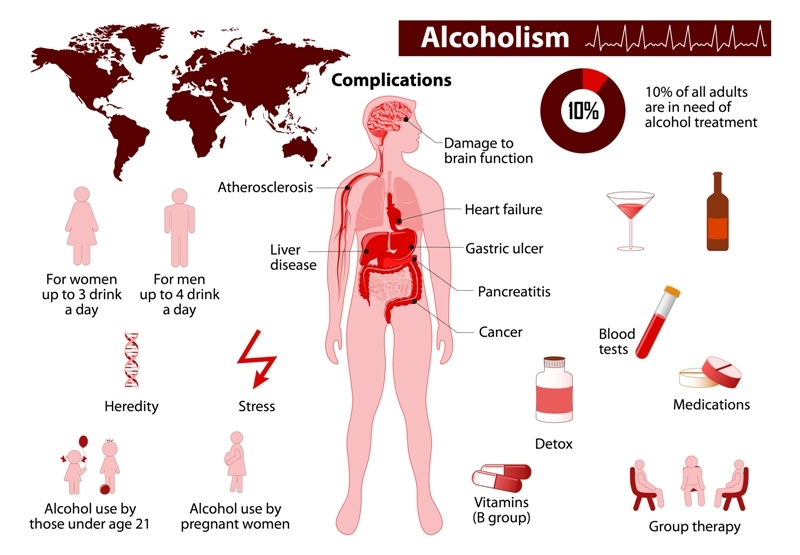 Over-consumption of alcohol leads to chronic pancreatitis and cirrhosis. These conditions are known to increase the risk of pancreatic cancer. It is estimated that about 7 out of 10 cases (70%) of chronic pancreatitis occur due to heavy alcohol intake for a long duration which results in pancreatic cancer. In an observational study, it is found that alcohol provokes pancreatic cancer, but its exact cause is not known though. 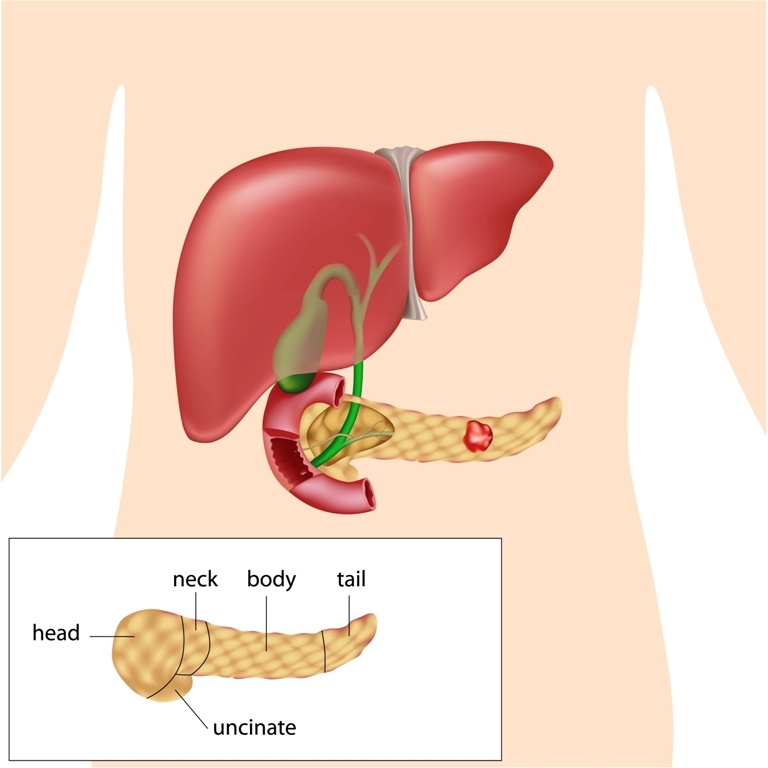 Pancreatic cancer and diagram of parts of the pancreas. In pancreas, two types of tumors develop which are exocrine tumors and pancreatic neuro-endocrine tumors. 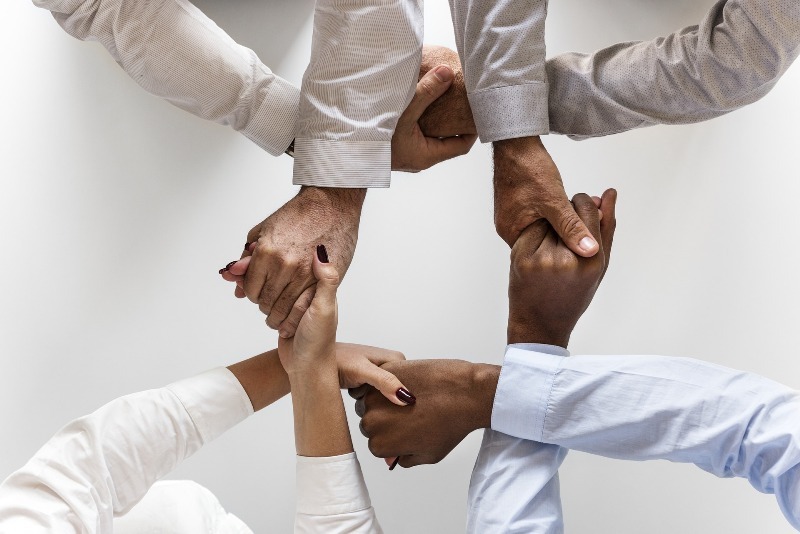 Exocrine tumors begin in gland cells and are usually in the ducts of the pancreas and if they are detected at an early stage, they can be treated effectively with surgery. Neuro-endocrine tumors are rare and can be benign or malignant. They are less aggressive than exocrine tumors. 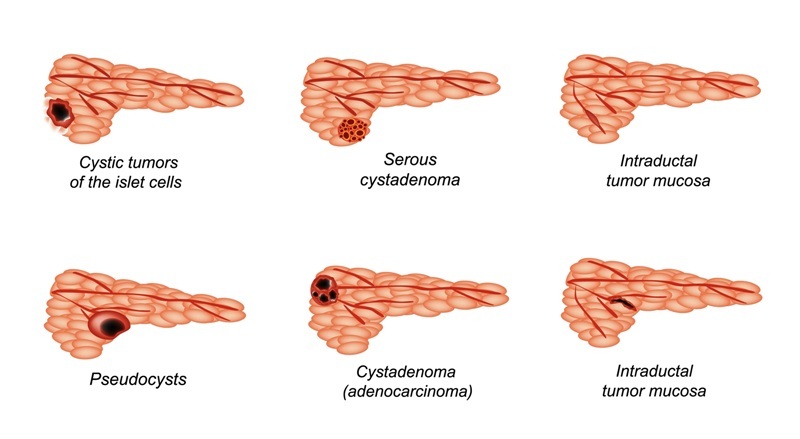 Pancreatic tumors begin with formation of cysts in pancreas which can be detected through scans. 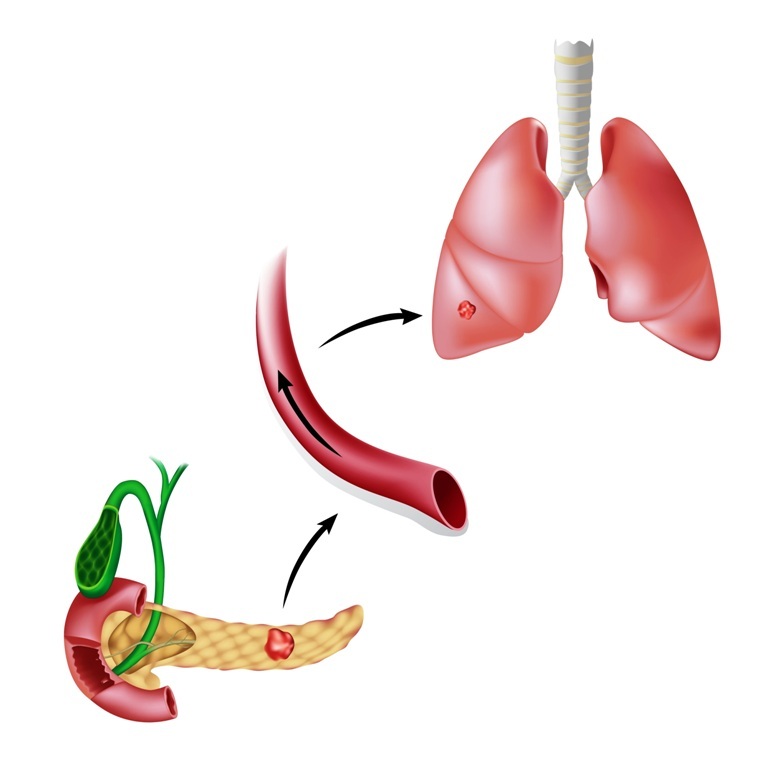 Pancreatic cancer can spread through blood circulation to different organs in the body including lungs. This happens in stage 4 and is known as metastasis. In some cases, the metastatic pancreatic cancer spreads in the blood and affects all distant organs of the body. Metastatic cancer of pancreas is difficult to be removed even via surgery. It is rarely curable and often leads to the death of the patient. Standard chemotherapy can be given to a patient to reduce the symptoms. 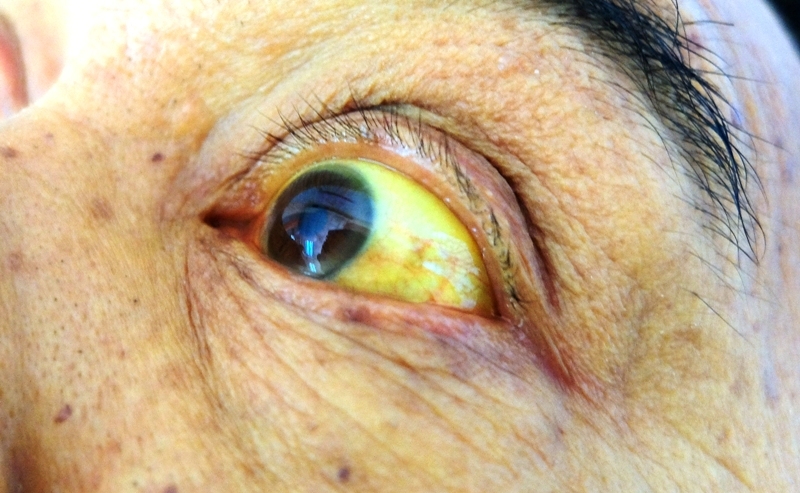 Jaundice is yellowing of the eyes and skin. 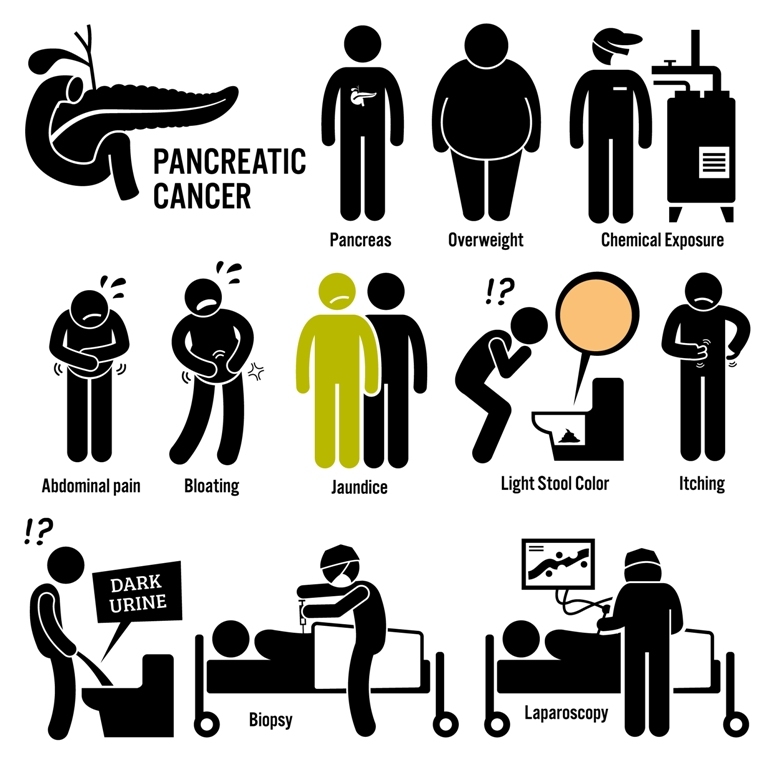 Most of the people with pancreatic cancer have jaundice as one of their first symptoms. If jaundice is not treated, it can result in formation of tumors. Jaundice occurs when normal excretion of conjugated bilirubin in the form of bile from the liver into the intestine is interrupted or blocked. This is known as obstructive jaundice and is a sign of pancreatic cancer. 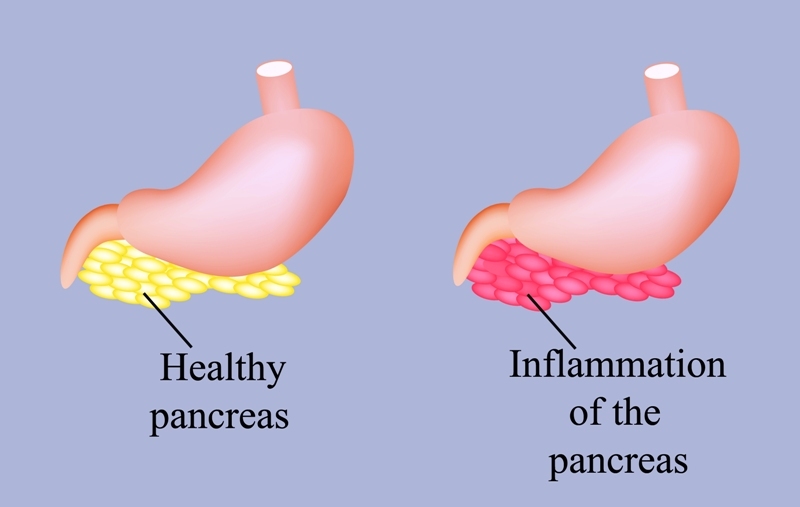 Inflammation of the pancreas (pancreatitis) can be a cause of pancreatic cancer. Chronic pancreatitis is a common chronic inflammatory disease that affects the pancreas. Epidemiological studies have identified it to be a major risk factor for pancreatic cancer. Surgery for pancreatic cancer is usually done in early stages of the disease. Patients whose cancer is confined to the head of the pancreas and hasn't spread further may qualify for Whipple procedure surgery. 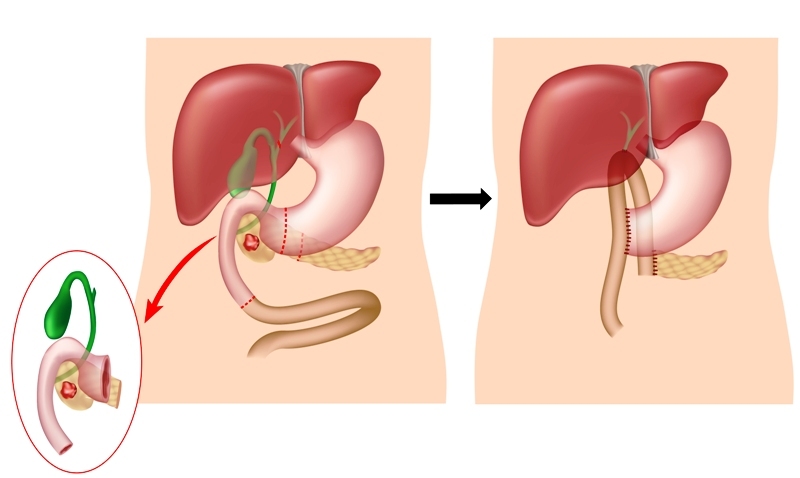 The procedure involves removal of the "head" (wide part) of the pancreas. It also involves removal of the duodenum, a portion of the common bile duct, gallbladder, and sometimes a part of the stomach too. 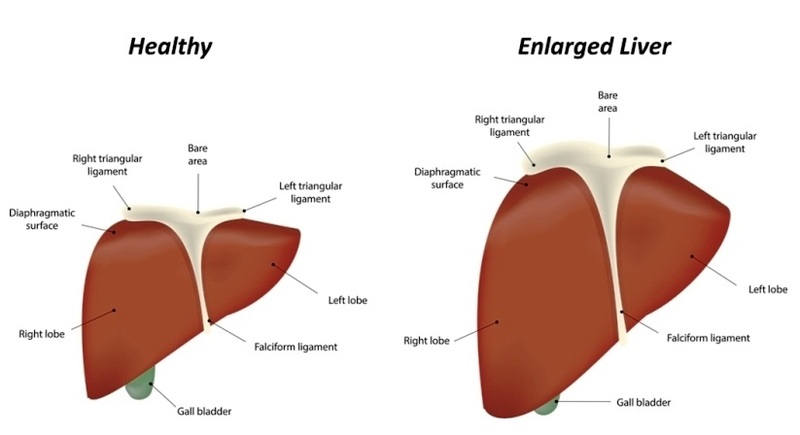 Enlarged gallbladder or Liver - A sign of pancreatic cancer. When pancreatic cancer spreads, most often they go to the liver. This can enlarge the liver, which causes pain and loss of appetite.